View of Windhover Hall. Imagine twenty fourth grade students writing away. Photo by the author. Imagine this: On a balmy (that is, 35-degree!) Tuesday morning this week, twenty fourth grade students were quietly scattered throughout Windhover Hall. Parent chaperones milled about, but these nine- and ten-year-olds were nearly silent. Why were these fourth graders so quiet, driven, focused? There’s a story behind how these students came to the Museum that day. Last spring, at the close of another successful professional development program for teachers hosted by the Museum and taught by the Milwaukee Writing Project (MWP), Museum education staff and the MWP co-founders had an idea. 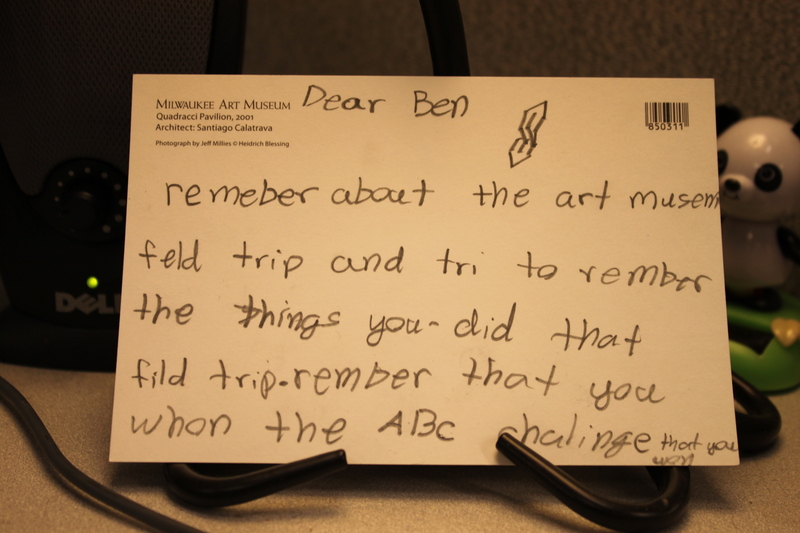 The excellent activities modeled in the Writing Project programs, encouraging low-stress writing inspired by art from the Museum’s Collection and the Six Traits of Writing taught in schools around the region, could easily be adapted to use with students in the galleries on a tour. 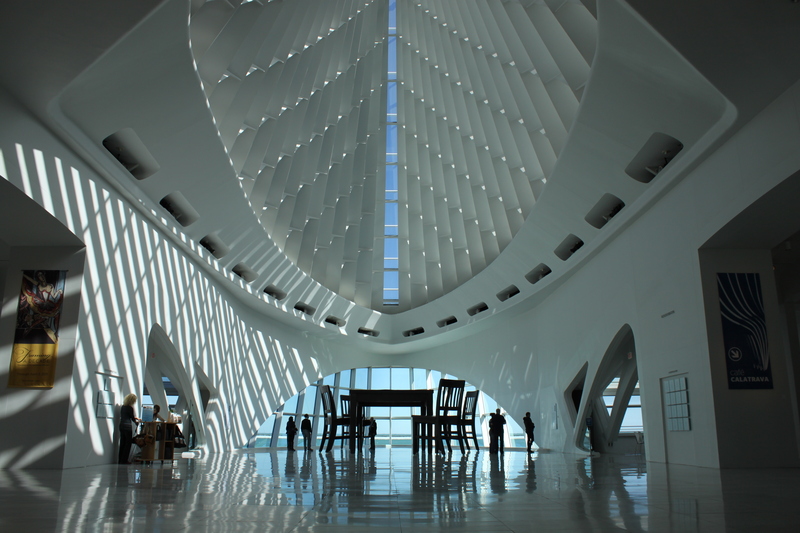 A few months later, after a few planning meetings and a docent workshop, the Writing & Art Tour was born–and we began to pilot the program with a few schools in the Milwaukee area. The subject of some of the young writers' "Sketch and Stretch" activity. Photo by the author. Let’s return to our scene in Windhover Hall, where those students are purposefully jotting, sketching, and looking deeply at the space around them. They were doing a “sketch and stretch” activity, writing in journal-sketchbooks given to them by the Museum. The importance of brainstorming on paper is one that artists, writers, and the average Joe uses all the time–to flesh out thoughts, to spark ideas, to refine thinking. These students, inspired by the awe-inducing views of Windhover Hall, were engaging in what some of the most popular and admired thinkers of our time have extolled for years (one example: writer Daniel Pink). 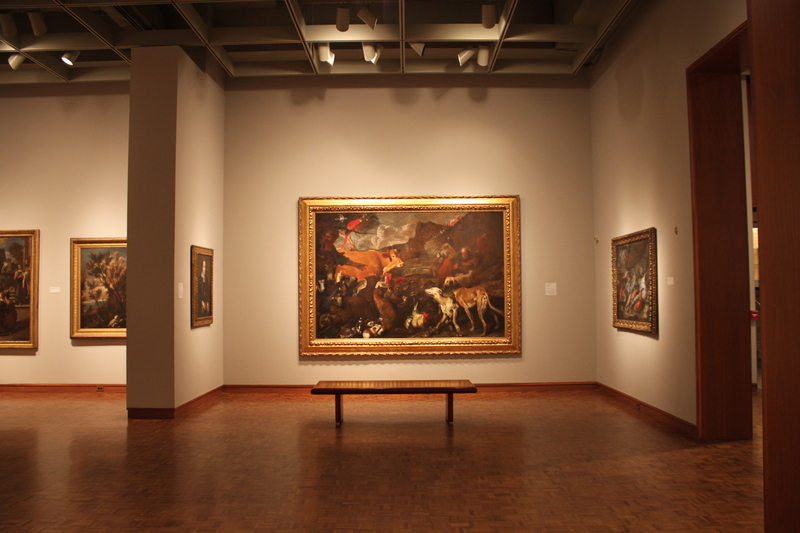 View of gallery with Giovanni Benedetto Castiglione, Noah and the Animals Entering the Ark, ca. 1650. Oil on canvas. 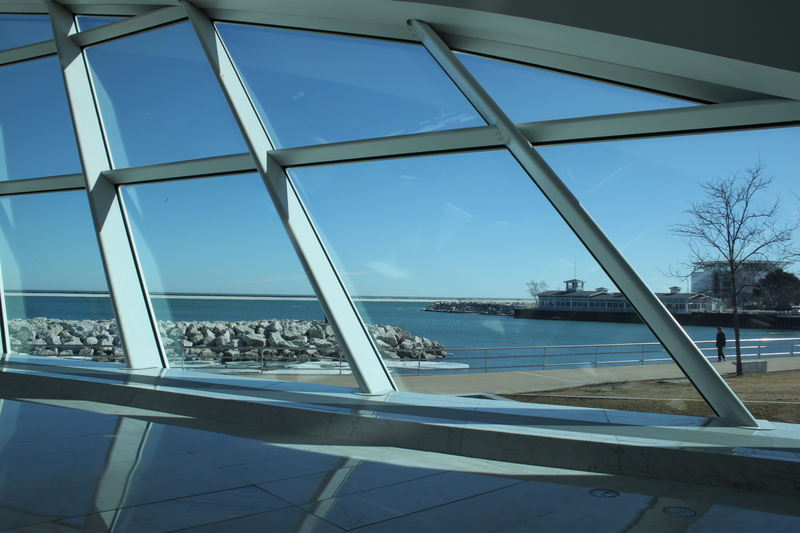 Milwaukee Art Museum, Centennial Gift of Friends of Art, Myron and Elizabeth P. Laskin Fund, Fine Arts Society, Friends of Art Board of Directors, Francis and Rose Mary Matusinec, Burton and Charlotte Zucker, and the Milwaukee community. Photo by the author. Half an hour later, 10 of those students were huddled in small groups in front of Castiglione’s Noah and the Animals painting, humming with discussions and the occasional shout signifying the occurrence of the all-important “A-hah!” moment. We moved on to an activity about word choice, or rather the “ABC Experience Challenge,” as my students titled it! We listed the entire alphabet down one side of our notebooks and viewed Castiglione’s painting with fresh eyes, trying to find an adjective, noun, or verb for each letter of the alphabet that described the work of art. They observed many new things in the painting I hadn’t seen before–including what seems to be a quail (click here for a detail of the painting) and what could be, according to one of the students, a very rare red-necked ostrich (click here to see detail). Other awesome words to describe the painting included guinea pig for G, howl for H, the “kaww” of a crow for K, and pointing for P.
Throughout each activity student participated differently: some students enthusiastically shared their favorite or “golden” sentences, others exuberantly attacked writing challenges, and still others quietly and with great focus jotted word after word in their sketchbooks. We engaged these students for an hour and a half (quite a long time for anyone, let alone an elementary schooler!) and they were excited the whole time. 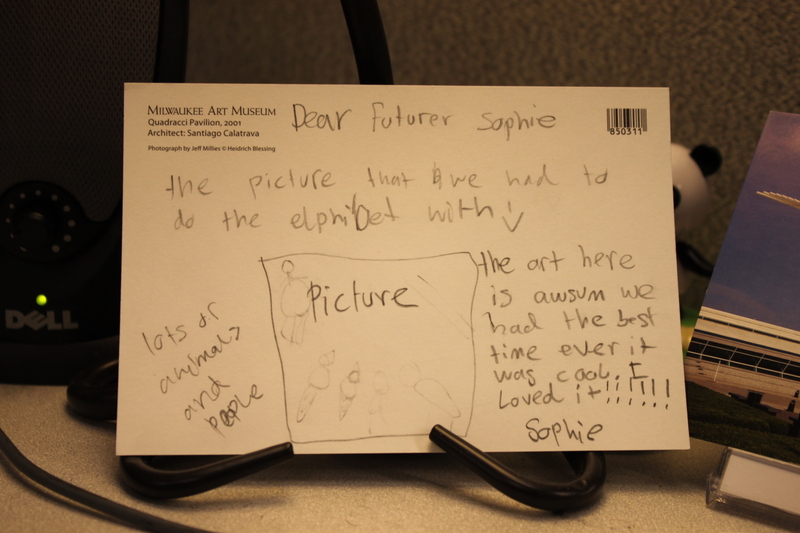 Kudos, students–we loved having you at the Museum! This entry was posted in Education and tagged Giovanni Castiglione, Schools, Tours, Writing. Bookmark the permalink.